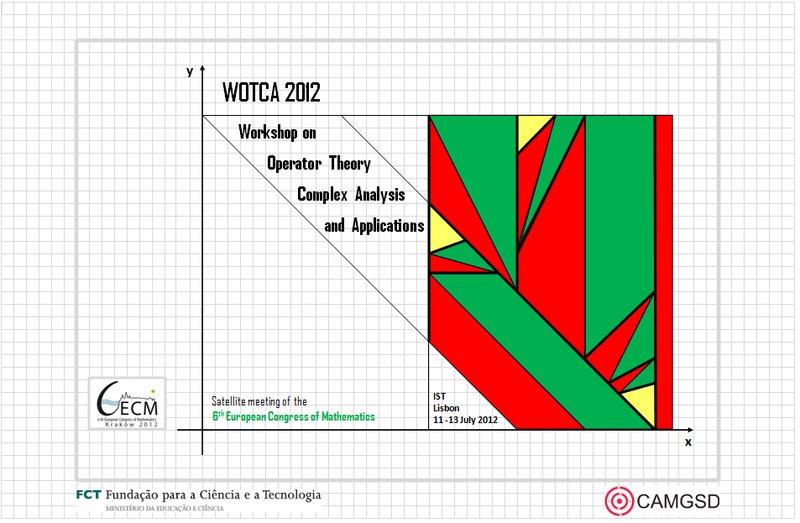 WOTCA 2012 — Workshop on Operator Theory, Complex Analysis, and Applications. Topics. WOTCA 2012 aims to bring together, in a friendly and scientifically fruitful environment, researchers working in Operator Theory, Complex Analysis and related areas in Mathematics, as well as their applications to Engineering and Physics. The workshop is organised in the context of the FCT project Toeplitz operators and Riemann-Hilbert problems: at the crossroad of Operator Theory and Complex Analysis and the Center for Mathematical Analysis, Geometry and Dynamical Systems. WOTCA 2012 is a satellite meeting of the 6th European Congress of Mathematics. This is a follow-up to a previous WOTCA organised in 2010.